There are not many areas where Buddhism even approaches the success of Christianity. But there is one. 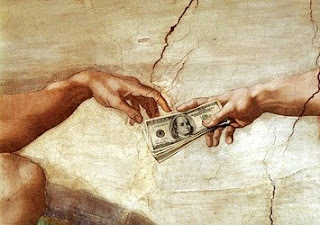 Since the 1980’s a new interpretation of Christianity called the prosperity gospel, the justifications for which are worked out in what is called prosperity theology, has become very popular in charismatic and Pentecostal churches. The prosperity gospel is very simple – accept Jesus as your Lord and Savior and you’ll get rich, real rich. It’s a sort of modernized and americanized version of the cargo cult. Although nowhere near as slick, savvy or successfully promoted as the Christian version, Theravadins have had their own equivalent of the prosperity gospel for at least a thousand years. Who would have thought that stodgy, conservative, unimaginative old Theravada could be so far ahead of the game? I am of course referring to the Theravadin teaching of merit. In the Tipitaka, merit (punna in Pali, bum in Thai and pin in Sinhalese) is the joy one feels having done good. 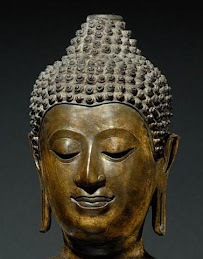 In Theravada, but particularly in Thai Theravada, the meaning of merit has been seriously misunderstood and perhaps even deliberately distorted. Rather than thinking of merit as a psychological quality derived from a particular type of behaviour, it has come to be seen as an object or even a commodity that can be ‘earned,’ ‘accumulated,’ stored up to be used later and even ‘transferred’ to others. The idea that it is possible to ‘transfer’ merit, is of course not mentioned in the Tipitaka because it contradicts the doctrine of kamma which teaches that it is our intentional actions that have an effect on us and that each of us is responsible for what we do. Also, it undermines the whole idea of moral causation. Think about it! If it were possible to ‘transfer’ to others the result of the good we do, it must likewise be possible to transfer to others the result of the evil we do and thereby avoid its consequences. 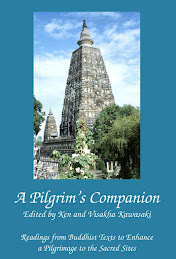 These misunderstandings has had a corrupting influence on the practice of Dhamma in Thailand. I believe that anthropologists call Thai Buddhism ‘the Buddhism of merit’ and with good reason. More than a few Thais understand this as the basis of Buddhism – take bribes at the office, spend an hour in the bar after work for a few glasses of Mekong, pop into the massage parlour on the way home and tomorrow visit the wat and donate some money to the monk to make up for the previous days bad kamma. Thais may well help an old person across the road, forgive a transgression or visit the sick in hospital but they don’t think of such actions as ‘merit making.’ You can only ‘make merit’ from monks. Thais see their monks like vending machines – put in the money, pull the handle and the merit is credited to your account. ‘Accumulate’ more merit than evil and the next life should be okay. 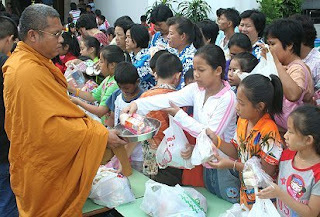 As a result of seeing Buddhism in there terms Thais generally don’t do good out of regard for the Buddha’s teaching, for the simple joy of doing good or because it is the right thing to do, but in order to ‘earn merit’. Generosity (dana) has been downgraded from an act of giving to a means of getting. People believe that they can ‘make merit,’ by performing certain rituals - putting gold leaf on statues, circumambulating stupas and most effectively, by giving things including money to monks - rather than by having integrity and being virtuo us in their everyday lives. If you think this is a parody of Thai Theravada, spend a little time in the country. 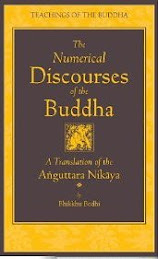 And all this despite the Buddha’s exhortation ‘Do not think that an external action brings purity. The skilful say that purity cannot be gained by one who seeks it in outward things’ (S.I,169). According to the Padhana Sutta, Mara, tried to dissuade the Buddha from his spiritual practice by suggesting that he ‘heap up merit’ (ciyate punnam) instead, exactly the suggestion Thai monks make to their supporters today. The Buddha rejected this insipid compromise saying, ‘I have not the slightest use for merit’ (Sn.428-31). And if a person practices the Dhamma sincerely and fully they should have no need of it either. In the Itivuttaka the Buddha said, ‘Doing meritorious deeds with the aim of having a favourable rebirth is not worth so much as a sixteenth of having that love which frees the heart’ (It.19). So being loving and acting with love is 16 times better that making merit, although this idea doesn’t seem to get much of a mention in Theravada. Recently a young Malaysian came to see me. He bowed before me, held out a red envelope with money in it and said, ‘Venerable sir, I would like to make merit.’ I replied, ‘Good! Then do your work conscientiously, be kind to other, always tell the truth and nurture love in your heart.’ I could see from his perplexed expression that he didn’t have the faintest idea what I was talking about and that he must have learned his ‘Buddhism’ from Thai monks. Our subsequent conversation confirmed this. I find it interesting that Christian prosperity theology has evoked the strongest criticism and detailed refutations from properly schooled theologians and mainline churches. 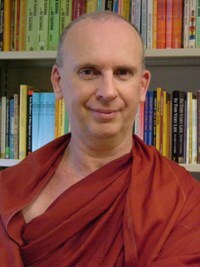 No Theravadin scholars, thinkers (are there any? ), learned monks or lay people seem particularly interested in critically reassessing the ‘prosperity Dhamma.’ I wonder why. Did you really tell the young man to do his work contentiously? I am sure you know too well why there is no "critical analysis". The Buddhist community is as thick as a coconut. Any lay person (like me) will not be able to talk sense into them, like what you wrote. The monks are always the authoritative source. We are all there just to listen to them, rightly or wrongly. That's why I seldom go to temple to listen to stereotyped "discources". 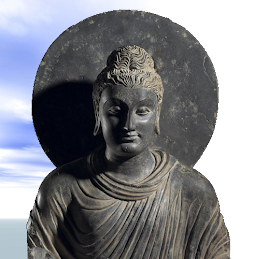 It takes you Bhante, to have the lberty and status to make them listen, and hopefully take heed. I am also very sure that you are aware that we Asians have been psychologically indoctrinated that "Mat Sallehs" (Caucasians) are more knowledgeable and respectable. In a way it's quite true, for we usually see the more brilliant Caucasians taking up high positions in Asian countries. We never see those lowly drunkards and vagabonds in the dark streets of London and New York. So, Bhante, you have all the resources under your control to put right what is wrong with the Buddhist community! I did of course mean 'conscientiously.' Thanks for being so conscientious. I am not a learned Buddhist and fall far short of the precepts but I am concerned about your slant on 'merit' and Thailand in general . We all acknowledge that Buddhism has over the years been adapted to various cultures and ways of life be it Mahayana or Theravada. In Thailand that so is the case and as you know for the absolute majority Buddhism is 'in the blood' owned from birth. Merit (or there form of it) gives the Thai and holds them to a sense of goodness, Yes - it is both in the minority abused and fortunately for the majority used for the good of the family, community and others, more so for the general good of all. I agree that it is not pure theravada or even in line with the Buddha's teachings but gaining merit in Thai culture surely has to be understood, seen viewed on its merit. I am English and lived in Thailand for 17 years taking a deep daily interest in the culture and rights and wrongs in that society I concluded that in most areas it worked as well as many other country better than most. Overall I thought that how the article was written was acceptable on a learning level but detrimental towards Thai culture in general, which may have many wrongs which I personally feel are by far outnumbered by its rights. I’m glad that we both agree that the Thai interperation of Buddhism is ‘not pure Theravada’, that it is not ‘even in line with the Buddha’s teachings’, that the concept of merit is ‘abused’ and that consequently that Thai society manifests ‘many wrongs.’ It was exactly these points I wished to make. Interviewing the senior Malaysian monk Ven. K. Sri Dhammananda some years back I asked him what he thought the biggest hurdle to the spread of Buddhism in Malaysia was and without hesitation he replied, ‘The Thai monks.’ He went on to describe the appalling impression they give of Buddhism to Buddhists and non-Buddhists alike with their black magic, money-making racket, amulet hawking, ‘four-faced Buddhas’ tattooing and other behaviour that I need not list here. He told me that a long polite letter to the Thai ambassador in Malaysia about this problem and a request to somehow rein in the monks had, predictably, gone unanswered. A double page ‘expose’ in the Straights Times some months back highlighted the doings of Thai monks in Gelang, Singapore’s red light district. Numerous people, many of them newcomers to the Dhamma, their faith shaken, asked me to explain how such things could happen. What could I say? Perhaps Robert, I could them your address and you outline the strong points of Thai Buddhism for them. Who is Robert ? you sound so angry why ? I could them your address and you outline the strong points of Thai Buddhism for them. Sorry for the ‘Robert’ oversight. I stopped being angry years ago, now I’m just sad and a little tired. Not that being angry is such a crime, sometimes its better than looking the other way or just shrugging your sholder. And yes it is true that life is not idyllic but that should not stop us trying to improve things; and sometimes that requires pointing out the problems.